Ever since I saw Klotzli knives, I wanted one. I loved the colorful carbon fiber and simple designs, but at the same time really wished that they weren’t mostly combo edged. 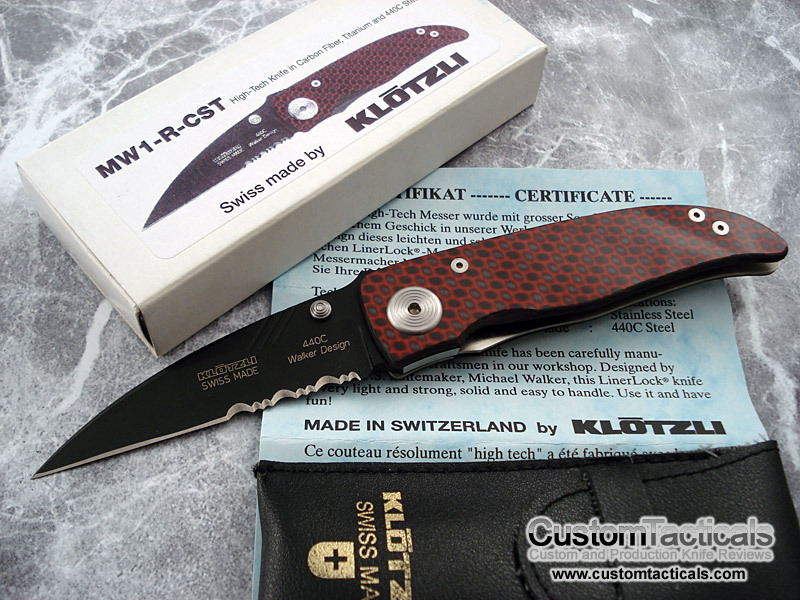 This MW1 Klotzli folder is the first of many that I owned, and is a very well made precision cutting instrument. The Klotli MW1 is pretty much perfectly finished, and for the price I paid it is probably one of the best values in knives as far as quality of finish to price ratio. Absolutely no blade play, and butter-like action. The finishing polish on the carbon fiber is perfect and so glossy I can see my reflection in it. 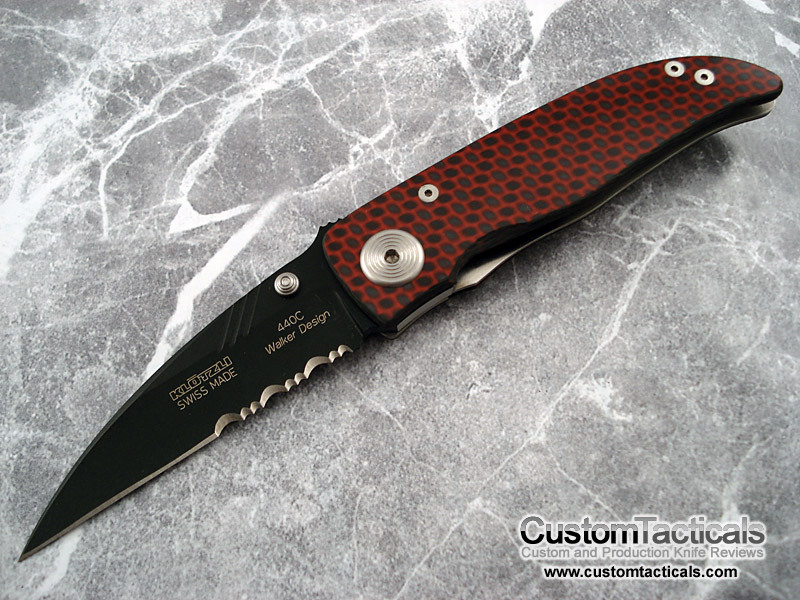 The reds also come out from the black of the carbon fiber beautifully. The blade steel used is 440C, which is probably because the knife is from Switzerland, and likely has to do with 440C being more available in Europe. The Pivot is a beautiful wide round stepped screw-setting, which looks fantastic with the knife. All screws are flat and countersunk perfectly flat against the handle slabs, another small detail which adds to the knife’s subtle elegance. The knife only has one liner, while the other side has the Carbon Fiber only, which makes this more of a gent’s knife than a hard-use folder. It’s extremely light, and quite thin, so the knife does not offer a lot of retention – which is fine due to the intended use of the knife. The pocket clip is nice and works well, and also comes with a leather slip case for carry, a nice touch. 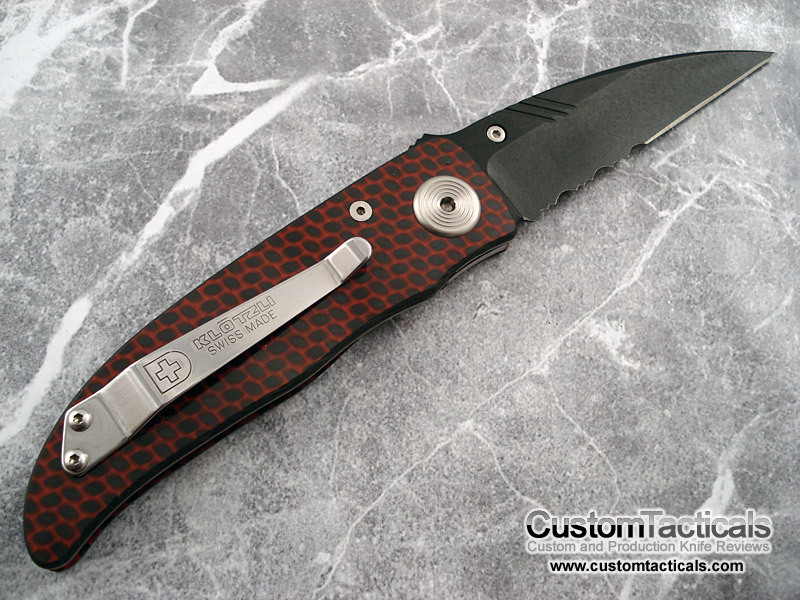 Overall, a really nice, light gent’s knife with a bit of a modern touch. A nice alternative to William Henry.